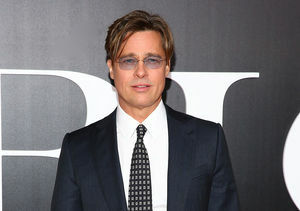 People magazine reports that Brad Pitt, who has not seen his kids since wife Angelina Jolie filed for divorce, hopes to see them this coming week. 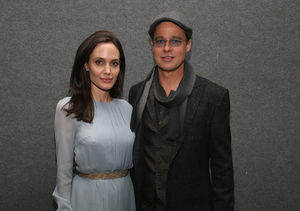 On Thursday, a source confirmed to People that Brad had yet to see his kids following Angelina's surprise divorce filing, and that he and Angelina were not even speaking. "He is just wrecked by this," a source close to Brad told People. "He was willing to do anything, change any habit, change any lifestyle, to do what had to be done to make this work. And by 'make this work,' that means doing what has to be done to make even a split one that is amicable and in the best interests of the children." 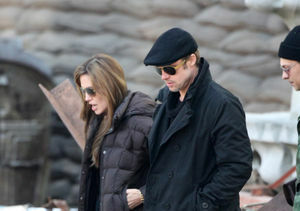 Meanwhile, People reports that Angelina is also devastated by the collapse of her 12-year relationship with her husband of two years. A relative of Angelina's told People she has been "in agony" following her decision to file for divorce, and to seek full physical custody of the couple's six children. "Her focus is on their health and emotional well-being," the source said. Jolie filed for divorce from Pitt in L.A. on Monday, stating that she and Pitt had separated on September 15, a day after an alleged family fight on a private plane. Since then, Pitt has been accused of being verbally abusive and getting "physical" with son Maddox during the fight.